It’s been about 4 months since Trader Joe’s opened a location near my house. I went the first weekend it opened and bought all of the ‘must have’ items. Now I am a Trader Joe’s pro. (well, not really… but I feel like a Trader Joe’s pro, so that’s all that matters) I had been working on this post for awhile, but after seeing how my first post was my most viewed in 2014, I hurried it up a bit. 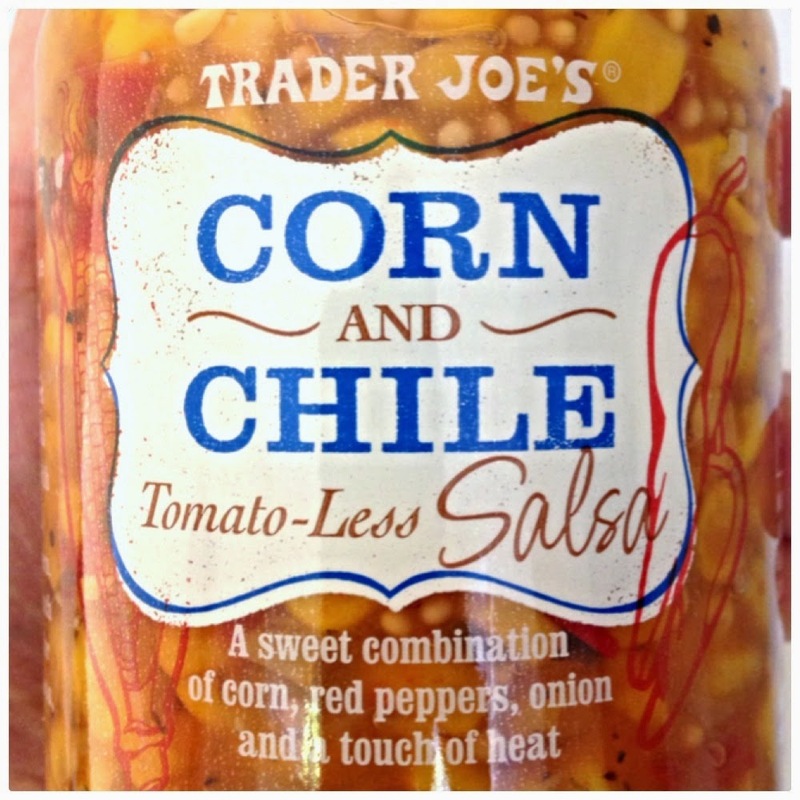 Corn & Chile Salsa: This is amazing. I buy 5 jars each time I go there. (which is about every 2 weeks) I eat this stuff on everything. It is spicy and tangy and just plain delicious. I love to mix it in with my egg whites for breakfast, and I even put it on top of cottage cheese as a snack. (I enjoy weird food combos) This goes with any food that you like to have with regular salsa. Green & White Teas: I love green and white tea. I drink hot tea everyday at work. I have tons of boxes of tea in my drawer. I like the taste of green tea plain, no sugar or anything. My favorites are the Organic Green Tea and the Ginger Pear White Tea. The Pomegranate White tea is pretty good too, but the pomegranate taste is a little too overpowering for me. 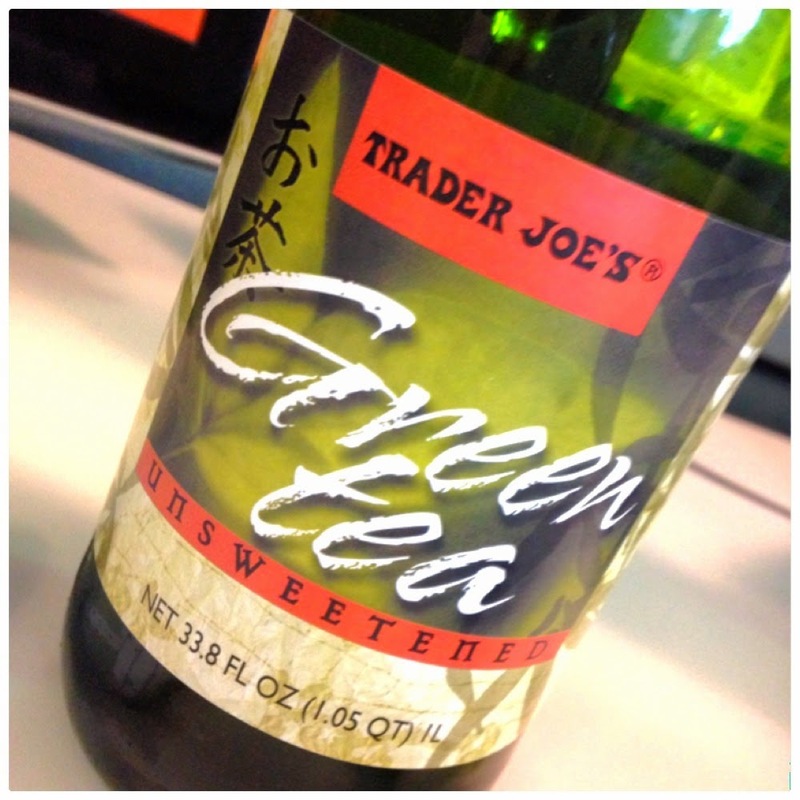 Iced Green Tea: In addition to their bagged tea… I am also obsessed with this bottled tea. It tastes just like freshly brewed, iced green tea. They also have a blueberry/pomegranate one that I like too, since the fruity taste is really subtle. I buy bottles and bottles of this stuff. I just bring the whole thing to work to switch it up from the plain water I usually drink. Even though I have taken them to work a million times, people still say, “Drinking at work?” or “You can’t wait to have your wine?” Or something like that. Every. Single. Time. Mac & Cheese: The Trader Joe’s frozen Mac & Cheese is really good and I love having it in the freezer for the kids. (we like both the regular and low-fat) They love it and it comes in very handy on those busy nights we just don’t have time to make a ‘real’ dinner. I pop this bad boy in the microwave in a 5 minutes I have a perfect little meal to split between them. They devour this stuff. Green, Beans and Grains: This is a vegetarian Indian dish that is so freaking good. I bring it to work for lunch all the time. It is a curry type sauce with chick peas, kale, and a couscous. It has a really good flavor, and it is filling… but it doesn’t have a ton of calories, making it perfect for lunch. Ginger Snaps: These are so good that I have had to stop buying them because I have no portion control with these bad boys. I don’t even really like ginger that much, but these cookies have the best flavor. Vanilla Joe-Joes: I love Oreo’s. So I do not want to knock them, but these are better. The cream in these cookies are so rich and smooth… it’s a very different consistency than the cream in those other cookies. It is made without high fructose corn syrup and they are gluten-free, so I don’t know if that makes a difference? My kids love them, I love them. You need to buy these cookies… seriously. So those are currently my go-to Trader Joe’s items that cannot be found anywhere else! I still have so much to try, so if you have an item you love from there, leave me a note in the comments section. Okay, I really need to get over to Trader Joe's. Isn't is the saddest thing that I've never been? haha. This stuff looks yummy! I am seriously OBSESSED! They have SO much stuff, the prepared salads are really good too! I haven't had any of these except for the Joe-Joes. If you like gnocchi, they have some gnocchi sorrentina that isn't too far off from the stuff I had in Italy. I don't go to TJ's that often because then I want to buy all the food! But seriously, their food is so good and I think I need to try those yogurt tubes for Eve. Mila would live on yogurt tubes if she could.. and I like them since they are def cheaper that the ones at the regular grocery store since I only like to buy the organic ones. Since they eat so many of them it makes the trip there worth it for sure! Good to know! I've only had the salsa on your list and it was good. I need to try more stuff! I eat that salso on everything.. I have a slight problem! haha! Have a great weekend! A great post! I look for these kinds of posts all the time for places because it helps to hear from someone who has tried stuff and likes it. 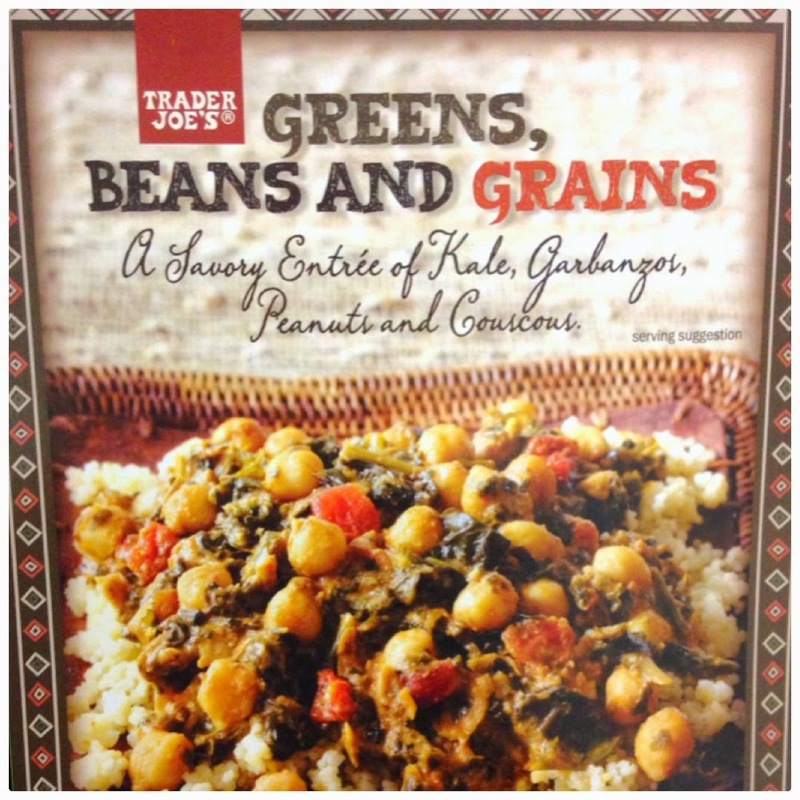 Greens, Beans & Grains looks amazing! I love your reviews – TJ's is my go-to place for fresh food around me! One of my favorites is their guacamole and chicken quesadilla meals!! I have to try the chicken quesadilla meal!! They have a skinny guac that is really good! We don't go to Trader Joe's only because the only thing smaller and harder to maneuver than our local one is the parking lot it is in. If they would move to a bigger and better location I would be there all the time. Especially to get the ginger snaps. I love ginger snaps. Thanks for stopping by! I love finding new link up parties! Luckily for me our trader joes has a pretty big parking lot! 🙂 Have a wonderful weekend! As you know, I too, love Trader Joe's. I see that corn salsa every time I go, and EVERY TIME I wonder if I should get some. Now I know. Also, their frozen Indian food is so delicious!!! And of course the Joe Joes….I could go on…I just love them! I so wish I had a .TJ's by my house!! I love their prices and their products and always stock up when I'm near one. Good list. I'll have to check out the teas next time I'm around. All the teas are good, and they are SO CHEAP compared to Whole Foods, and since I drink hot tea everyday while at work, it makes a difference! 🙂 Have a great week and thanks for stopping over! Both of those things I have never tried! I will buy them the next time I go! Thanks and have a great week!! This post is so awesome!! Thanks for the recommendations. I need to make a trip there soon. I love finally having a TJ's by us! I am glad they are finally building them in South Florida.. hopefully more are on the way! 🙂 have a wonderful week! green verde salsa is also good, their cheese popcorn is awesome… the kids love their organic polenta which come in a tube which I slice, throw pasta sauce and cheese on and bake into little "pizzas"!!!!! So have you ever had Newman's O's? SO FREAKING GOOD! Never tried Trader Joes! I'm happy to see this list because I've never tried any of these! My kids love the lemonade juice boxes. Great list! thank you! It was a fun linkup for sure! Have a wonderful week! ME too! I love all tea, but green and white tea are my favorite! 🙂 Have a wonderful week! I loved your post and found lots of things I want to try! I commented! 🙂 Have a great week and I am glad this inspired you! Never tried them, but my kids love dried cranberries so I am def adding these to my list! 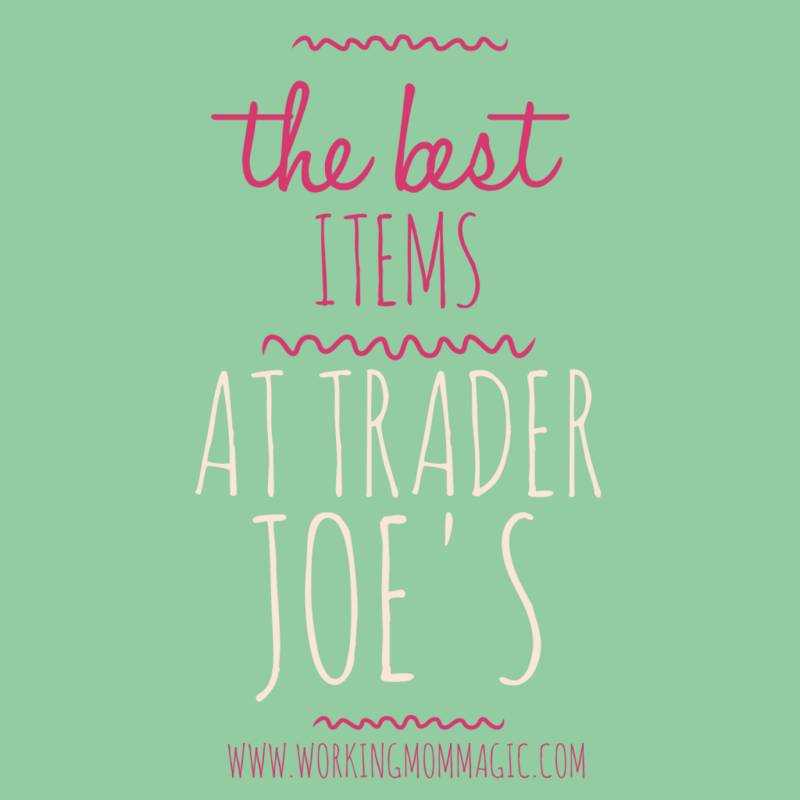 I loooove Trader Joe's and I'm surprised I haven't tried any of the items on your list! I'm a huge fan of the Candy Cane Joe-Joe's, and the Vanilla ones sound amazing too. A few of my faves: Thai Shrimp or Veggie Gyoza (frozen section), TJ's frozen shrimp, thawed, with TJ's Cocktail Sauce, and their TJ's Hot Cocoa mix. Yum! I loove Trader Joe's!! My favorite are their fruit bars, cold brew coffee and speculous!! Seriously, can't get enough of the cookie butter! Yes the cookie butter is really, really good. I bought it once and never again, since I can't control myself around it! ha! My oldest daughter is a huge Trader Joe's fan. Living on her own is teaching her to shop smart. I love Trader Joe's but don't get there too often. Thanks for the prompting to get over there! We don't have a Trader Joe's in New Zealand 🙁 but it sounds like a neat place to go and stock up. I haven't been to a Trader Joe's yet, but I'm always looking for new Green Tea to try so when I get there those will be #1 on my list! Thanks for sharing at Pin-Worthy Wednesday.